Wimblington. 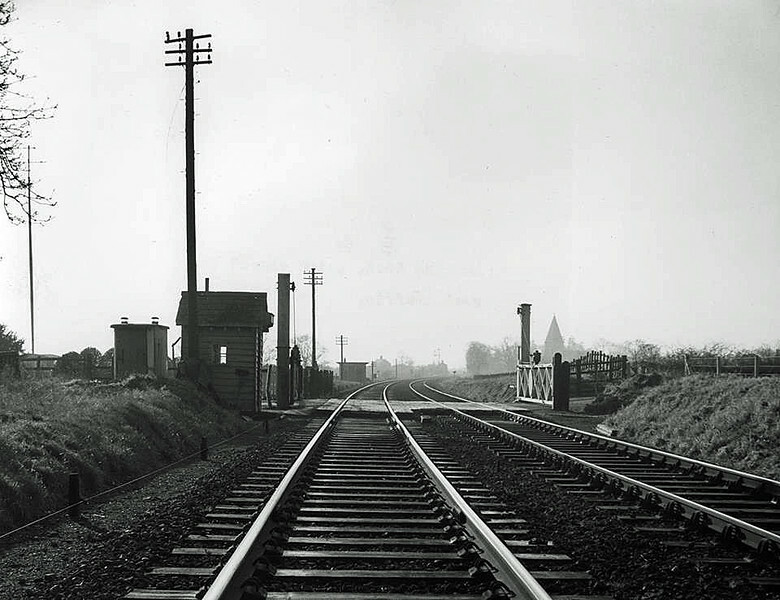 Eastward End Crossing facing south towards the station on 10th January 1962. The A141 "Isle of Ely Way" now follows the line's alignment and no trace exists. Wimblington Church adjacent to the station can be seen to the right of the right hand gate post. Image thanks to Mark Brammer.